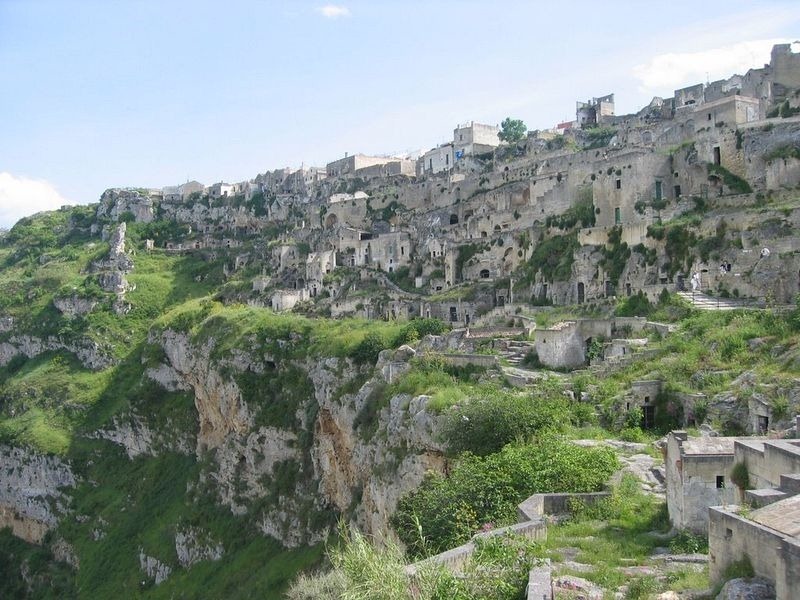 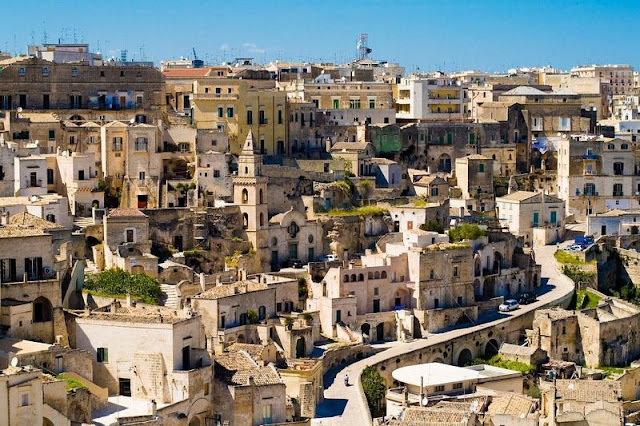 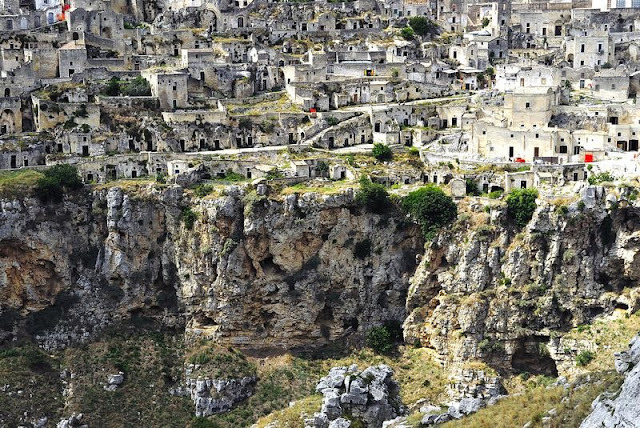 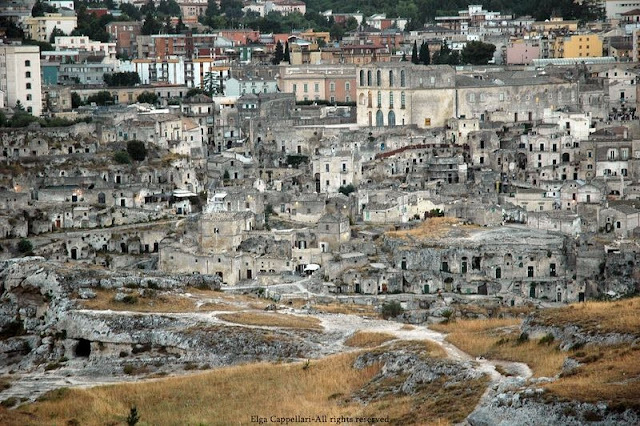 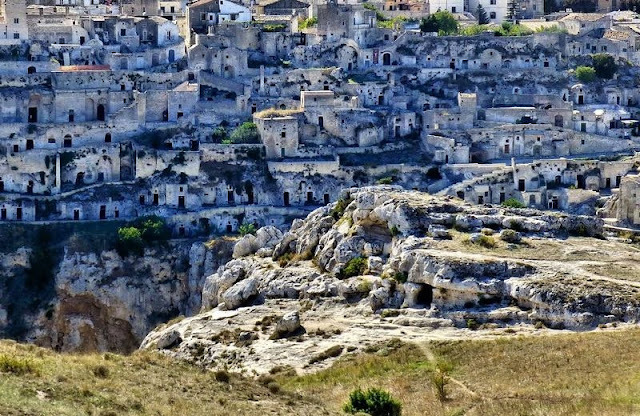 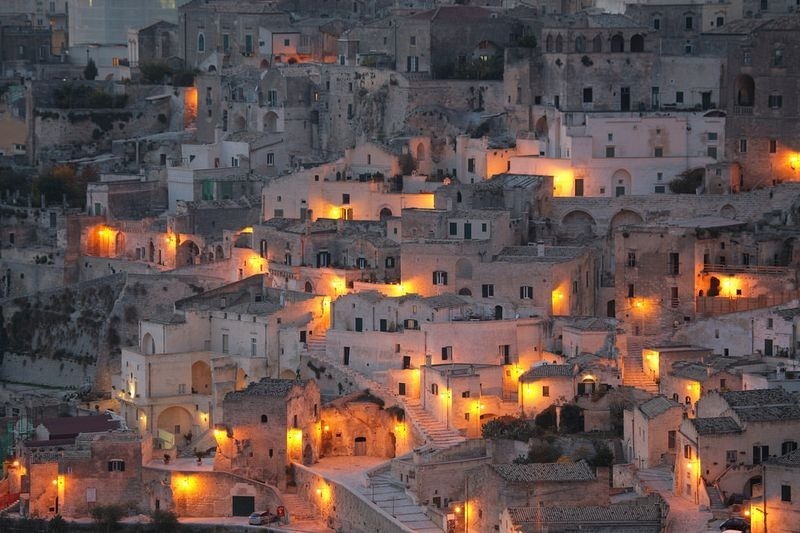 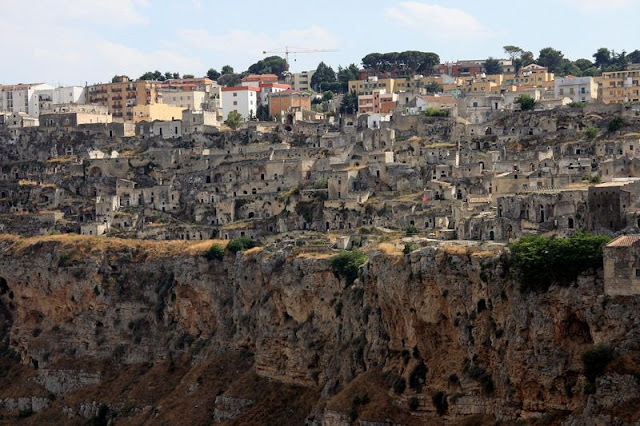 In the Basilicata region, in Southern Italy, is an ancient city named Matera known for its cave houses called “sassi”. The sassi are carved into the cliffs of a rocky ravine created by what was once a big river but is now a small stream. These cave dwellings are believed to be among the first human settlements in Italy dating back to the Paleolithic era, some 9,000 years ago. 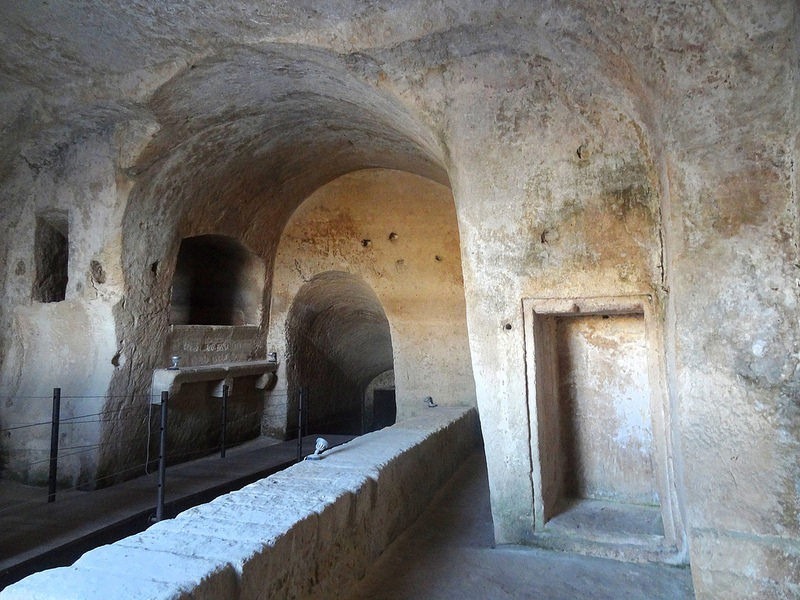 Since then, until as recently as the 1950s, the caves were continuously inhabited. 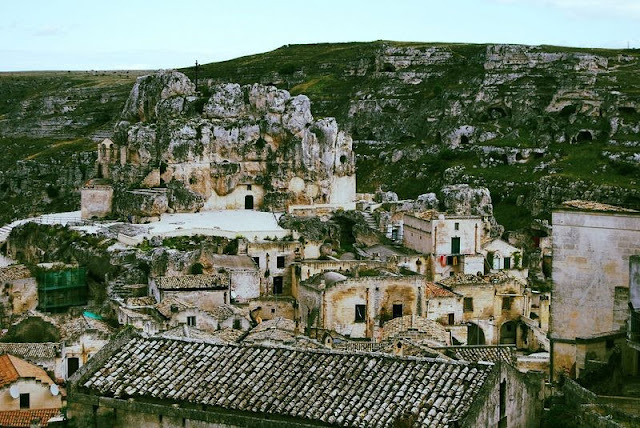 The first human settlements in the territory of Matera took advantage of the region’s many natural caves that define the rocky landscape. Over time new caves were dug out to accommodate the growing population. 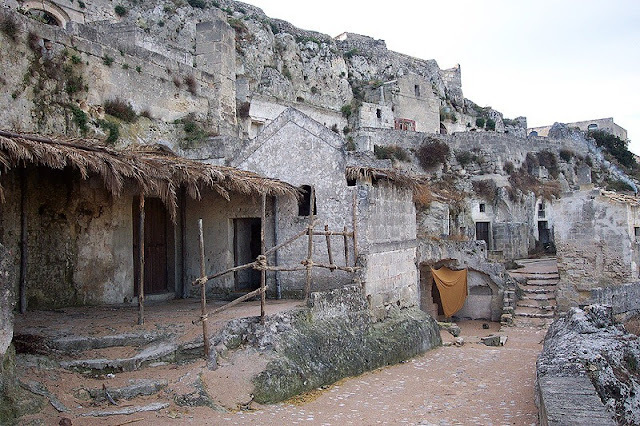 Some of the earliest houses looks like stone huts, but behind the house-like facades are simple caves. 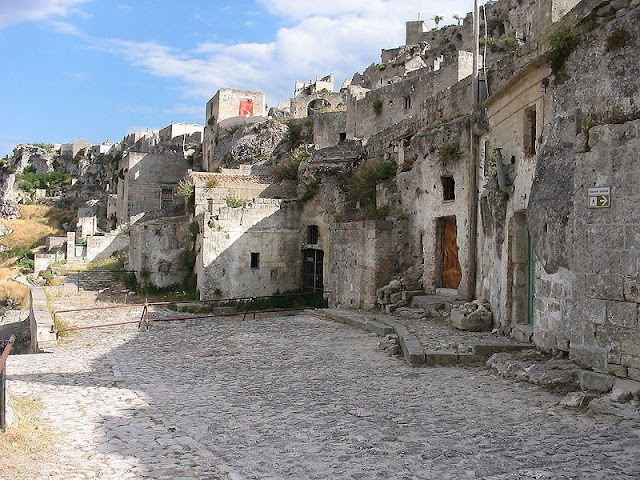 As the city developed, it became a jumble of narrow alleys and stairways as residents dug wherever a cliff-face provided opportunity.